Wedding Barns Henley-in-arden ARE YOU A SUPPLIER? 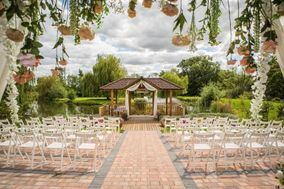 Guide to wedding barns in Henley-in-arden: if you want a beautiful wedding in the countryside on a farm or in a stable, here are the best options in Henley-in-arden. Come in and see their prices, menus, packages and the best deals so you can celebrate one of the best venues in Henley-in-arden. Theese are ideal spaces for weddings, anniversaries, birthdays and family celebrations.